Perform your exercise without weight, or with half the weight you usually do. How’s your form? Don’t want to waste time? Quality-control your exercises as a range of motion warm-up without weights. Stand in front of the mirror and check your form points. A few minutes of quality control every few months is time and effort well spent! You’ll improve your results, and decrease risk of injury through logging a high-quality workout! The Standing Shoulder Press strengthens your lifting muscles of your upper body, as well as your core. So if you’re having to lift and carry heavy items during the day, this exercise is for you. 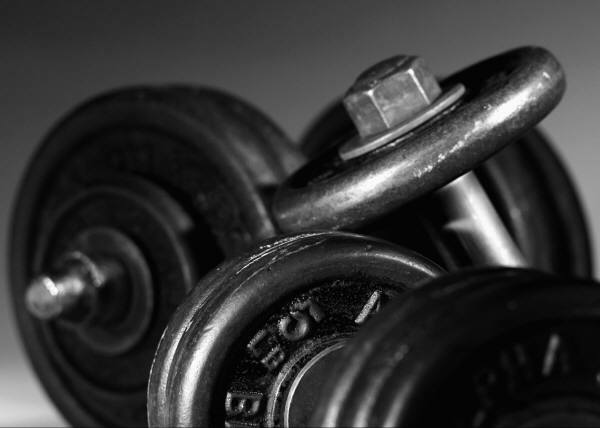 Choose a weight that allows a controlled 8-12 reps. Begin standing in neutral posture with your knees slightly bent. Bend your elbows so the weights are in front of your shoulders, with your palms facing in. Pull your shoulders down and back. This is your starting position. 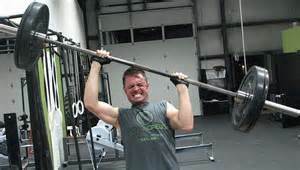 Keeping your forearms vertical, push the weights straight up overhead so the weights are level with the top of your head, keeping your torso stable. Pause for a second to break momentum, and then slowly lower the weights to your starting position. 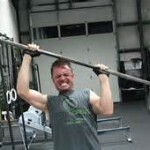 As you build strength, lift the weights all the way overhead stopping just short of straight arm. *Consult your physician before beginning exercise. This exercise is for those without injury concerns. Shape your muscles. Muscles give your body shape and contour. You’ll look fit. Builds independence and confidence. You’ll easily be able to lift and carry what you need, when you need without having to wait for assistance. Decrease stress. If you’ve had a long stressful day, you’ll leave the muscle and mind tension in every repetitions and set. The result is a relaxed and total-body tension free you. Improves body awareness. General awareness of posture and alignment will improve, especially if you’re working with free-weights, as you have to stabilize your body on every set. 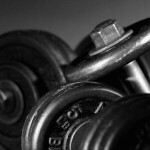 Are you lifting too heavy? Effective exercise is more important than load of exercise. How heavy is too heavy? Regardless of the number of reps you’re logging or particular move you’re attempting, sometimes the weight is simply not safe or appropriate for you. Unable to load and unload the weight properly. You should be able to lift the weights off the rack and move, with proper mechanics, into your starting position. The same applies to racking the weight after your set is complete. Unable to maintain proper form. You should be able to stabilize your body against the weight throughout the entire range of motion. Unable to control the speed of the exercise. You should be able to stop the move at any time during your range of motion. Controlling the weight, rather than using momentum, is key. When it comes to lifting weights, doing the same old thing every day can get boring and make you tempted to skip workouts. If this is the case, give circuit training a try. Circuit training consists of taking 3-5 exercises and doing them consecutively with no rest in between. An example of this would be to perform push-ups, biceps curls, triceps dips and mountain climbers all in row, then rest for up to a minute before performing the same circuit 2-3 more times. Circuit training allows you to get more done in a shorter amount of time while keeping your heart rate up. Keeping your heart rate up for most of your workout means burning more fat the entire time spent working out. Add that to building muscle, and your body will be a fat burning machine. There are endless ways to create circuits, even adding in plyometric moves or treadmill sprints to your circuits to log cardio while lifting weights. 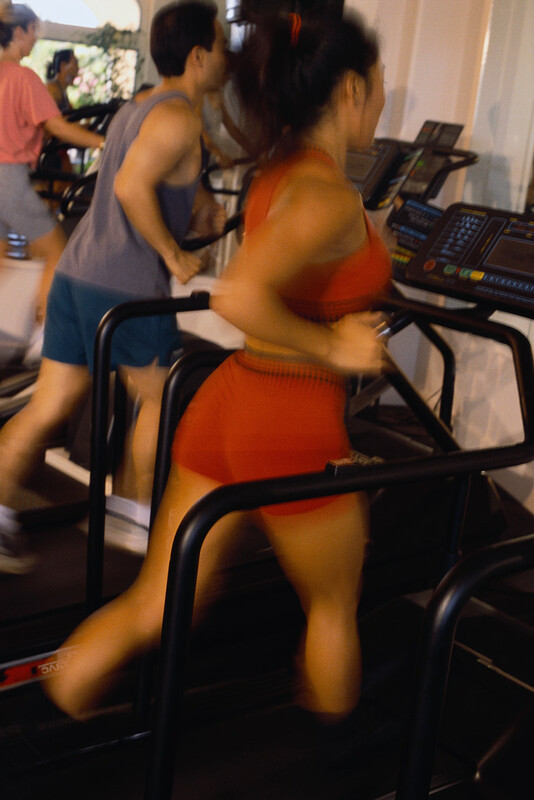 Choose the cardio machine you like the best and after each circuit do 1-2 minutes at a high intensity to get your heart rate up. Working out this way also makes the time fly by and keeps workouts interesting. If you don’t have hours to burn at the gym, circuit training is going to be the best thing for your goals and your schedule. Create the circuits that fit your weekly workout schedule. Stick with the same schedule for 4 weeks, and then change it up to keep from getting bored and to keep your body challenged! Angelena is a mom, healthy living blogger at On Fire Fitness Healthy Living (www.OnFireFitnesspt.com), a NASM Certified Personal trainer and Fitness Nutrition Specialist. Her goal is to inspire others to take the steps to living a healthy lifestyle. Visit Angelena on Facebook and on Twitter. If you’ve never ventured to the weights section of your gym, then you are missing out! 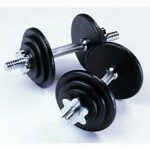 Weight training is the fastest way to speed up your metabolism and give you a tight tone look. Weight training isn’t only good for your appearance either it is so great for your overall health. 1. Lose or maintain your weight. Wherever you are in your fitness journey, strength training can help you lose body fat or maintain the weight you worked hard to reach. When you add lean muscle your metabolism is revved up and helps to burn more body fat even when you are not working out. 2. You will look lean even if the scale doesn’t change. Muscle weights more than fat, but takes up less space. For example a woman who works out with weights may weight 150, and her friend who doesn’t also weighs 150, the woman who strength trains will look leaner and fit. 3. It maintains or improves your bone density and muscle mass. Studies have shown that weight bearing exercise is the best way to increase or maintain your bone density and muscle mass as you age. Both of these tend to decrease with age, the best way to slow this loss, you guessed it lifting weights! This will improve your quality of life as you age. 4. It is important for your mental and emotional well being. When you work out you are releasing endorphins which improve your mood. The more consistent you are with your workouts the more benefits you will see. Exercise is also a great anti-depressant and helps to improve your quality of sleep. Have you ever finished a workout and felt like you can take on the world? 5. It reduces your risk of injury and illness. Strength training helps to increase the strength of your connective tissue, muscle and tendons which improves your range of motion in every day life, thus leading to less injury. Regular strength training also helps to strengthen your immune system. Who doesn’t want fewer sick days?